The constant surge of fitness trackers or smartwatches that count steps and much more has enabled us to track, monitor and store a cornucopia of data about our bodies, our workouts and our habits. But what good is all of this data if we're throwing in the towel after only a few days? The problem is a disconnect between what we hope to achieve when we buy a fitness tracker and what we experience after we strap it on. And this disparity between expectation and reality is one of the reasons why many who buy wearable devices stop using it after a few months. To give you more of an insight into how to set goals and stick to them, we've enlisted the help of two personal trainers to shed light on the nature of goal setting, to help you figure out the kind of device, goals and setup you need to stay motivated. 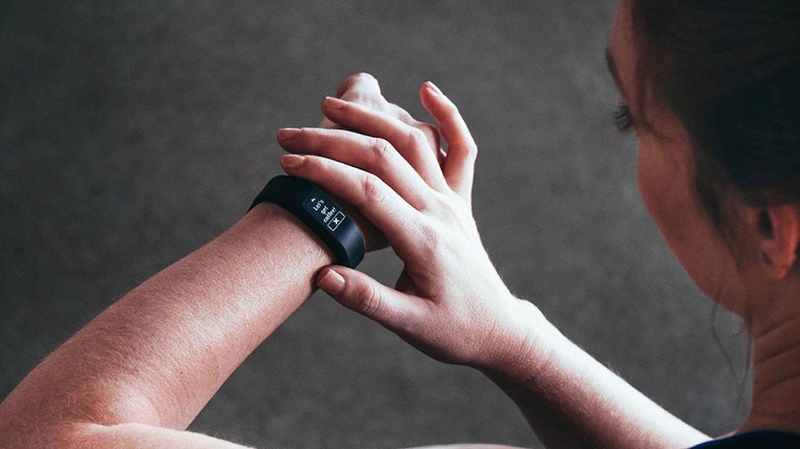 Polly from The Fit Mum Formula believes that to hit fitness goals using a tracker "you want a tracking device to make the process easier not irritating." She explained that without realising it, most of us have different motivations when it comes to making big changes to our fitness. "Some people love seeing numbers and are motivated by achieving goals, whereas others just want to see results," she said. "Some might like inputting their own data, for example food intake, but others might want a device to do work for them, like one that counts steps or distance run," she explained. Unfortunately there isn't a one-size-fits-all approach to fitness tracking. Most people fail because they do not measure what they are trying to achieve. Like Polly suggests, you need to work out what motivates you. If you like seeing numbers on your way to a goal you'll need a device with a screen so you can keep your motivation levels high throughout the day, like a Fitbit Charge 2 or a Garmin Vivosmart 3. If you're all about the end game, something more discreet with a great app experience will be more suited to what you're after, like a Fitbit Flex 2 or a Misfit Shine 2. Fitness trackers are all about meeting goals – and most devices suggest some to get you started. But if those are unattainable or too easy, it can kill our motivation. Alex from Xander Conditioning and Fitness First believes many of his clients are selling ourselves too short when it comes to goal setting, saying people approach fitness goals "timidly". Why? "People hate to fail," he said. Polly agreed: "There's nothing more demotivating than 'failing' because you couldn't stick to a plan because it was unrealistic." The challenge if you're going it alone with a tracker instead of a personal trainer is getting to the bottom of what a 'realistic goal' really is. Alex believes something that takes us away from achievable goals and into sketchy territory is being too subjective. He said he meets people every day who say they want to be able to "fit into a dress" by a certain date, "look good on a beach" or just "get fit." So the first step is having a much more quantifiable outcome in mind rather than approaching your fitness with subjective goals, a process many can find challenging. Often "run 5km" doesn't sound half as appealing as "look like Rosie Huntington-Whiteley on a beach in two months," but when you're using a fitness tracker you have to take personal responsibility for the goals you're setting. Alex says he tells his clients they're not making their goals realistic enough everyday, but unfortunately your Fitbit can't do that for you. "I like to see people first achieve the small goals, build their confidence to aim higher and then encourage them to set more ambitious targets." So what do these small goals actually look like? Well, Polly suggests implementing goals can be as simple as "adding a piece of fruit to breakfast and going for a 15 minute walk after supper every evening, if that's more than they're currently doing and is all they can stick to right now, then that's progress." She sees goal setting and progress much more about forming habits rather than going for long, gruelling workouts that you're only likely to stick to a few times a month. Unless you opt for more advanced devices, many of the popular trackers are geared up for people who exercise, but who also want to keep tabs on how many steps they take during a normal day. You could argue we've all become a little too focused on this 'magic metric.' As if hitting that 10,000 goal that your tracker delivered out of the box means you're on your way to becoming the next Usain Bolt. But what do the experts really think? Polly said that upping the amount of steps you're taking can make a difference to your fitness, especially if you're new to exercise or have been struggling with an injury. Just like bigger goals, she says take it slow, even though you're walking. "Going from very few steps to 10,000 overnight is unrealistic, so I would set smaller goals and build up, say 5,000 steps per day in the first week, 7,00o in the second and 10,000 in the third, only moving onto the next goal once the first one is achieved." Steps are a good starting point, but Alex warns us that hitting these rather arbitrary goals isn't going to help us all lose weight, "I find that the number of steps a person takes has little influence on their body fat or weight," he said. When it comes to weight loss, Polly agrees it's a territory to be approached with caution if you're going it alone. "As you lose weight 'metabolic adaptation' occurs as a result of changes in weight, muscle and body fat percentages, and monitoring a person's diet throughout this will mean you can make changes accordingly," she explained. Alex agrees that weight loss isn't impossible with a tracker, but can muddy the waters a bit given muscularity is the most important thing to bear in mind when you're trying to shift the pounds. He tells me "most calories are burned at rest based on the amount of muscle mass the person holds, as opposed to being burned during exercise - a common misconception." This is where some trackers can fall short, estimating the amount of calories you have left for the day but not giving you an accurate indication of how many you actually need. One suggestion would be to employ the use of other apps and devices that paint a bigger picture, like using MyFitnessPal for a better idea of the nutritional value of what you eat rather than relying on less comprehensive database that give you an idea of calories and little else. It's all good and well setting goals, but armed with just a tracker, how can you know when things need to be changed, adapted or scrapped completely? Polly said: "If someone is preparing for an event then goals would change weekly so that they progress gradually until race day." To her this means making a number of changes in your workout programme and back-tracking your goal setting so you'll hit your final distance or time when you need to. "Usually this involves simply increasing the distance run each time," which would be easy for anyone with a fitness tracker and a calendar to work out. She also recommends those with wearables make sure to "adjust rest and diet protocols in accordance, as more activity will require more rest and focus on nutrition to aid recovery." Alex recommended persevering with your goals and busting through mental blocks, even if your fitness tracker is telling you that you should change them or have hit them already: "A real goal should only be changed / adjusted / improved once achieved," he said. Taking your fitness into your own hands with a tracker can be extremely empowering – if your goals are realistic. As Alex summed up: "Most people fail because they do not measure what they are trying to achieve." Even if our wearable tech can't kick us out of bed for a run at 6am every morning – one thing it's damn good at is measuring.